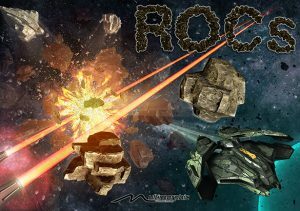 Learn to play like the pros! Wizard is a pinball training application for the P3 Pinball Platform. Whether you're a beginner, expert, or somewhere in between, Wizard will help you improve your skills and learn new techniques. 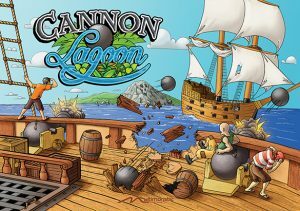 This game application requires the Cannon Lagoon playfield module (sold separately). 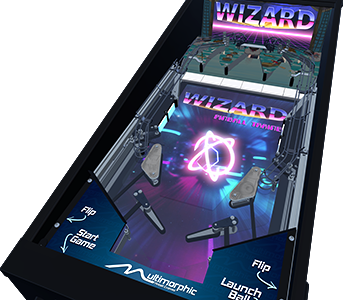 Wizard helps you improve your pinball playing skills by demonstrating techniques, leading you through them, and allowing you to practice until you master them. 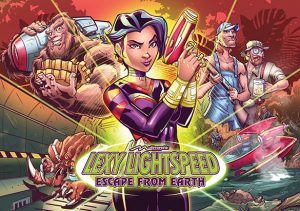 Making use of the Cannon Lagoon playfield module with 5 strategically placed shot lanes, Wizard helps you learn both accuracy and flow. Some techniques require you to repeatedly hit the same shot to master consistency, while others have you combine techniques to learn complex combinations. 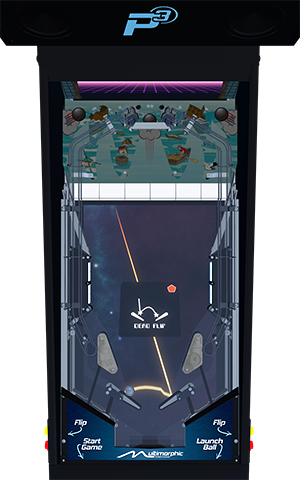 The main playfield LCD and a vertical LCD behind the upper playfield module shot lanes combine to give you constant feedback, status, and instructions. In some modes, example videos play on the playfield LCD to illustrate exactly how a technique is performed. 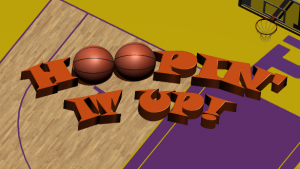 In other modes, dynamic indicators tell you exactly when to flip a flipper and/or shoot a ball. In even other modes, virtual shots paths are drawn on the upper LCD to illustrate the path of a ball through orbit and ramp shots, and then the ball is delivered back to the flippers, allowing you to repeat the same shot path and/or put combinations together. The wall and scoop targets built into the P3 platform provide even more shot variety, bringing targets closer to the flippers and changing the shot angles. 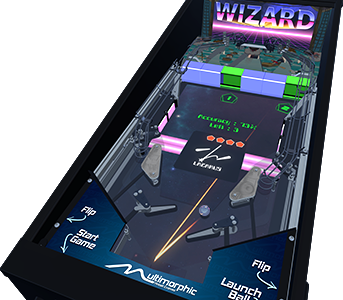 Since the P3 can dynamically track the movement of balls over the playfield surface, Wizard can tell you each and every technique you perform, whether you intended to perform it or not. It can also analyze the movement of the ball as you make shots and give you advice for improving your accuracy and timing. 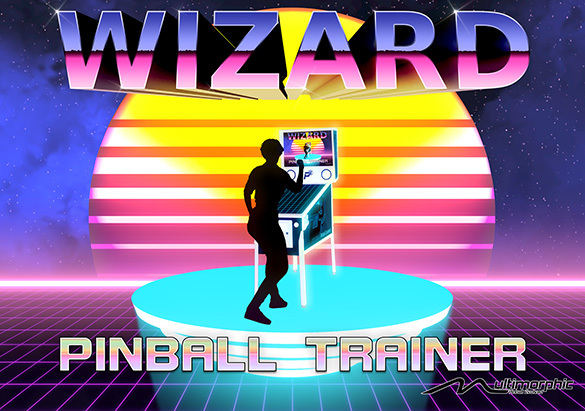 If you want to become a better pinball player, Wizard is for you!